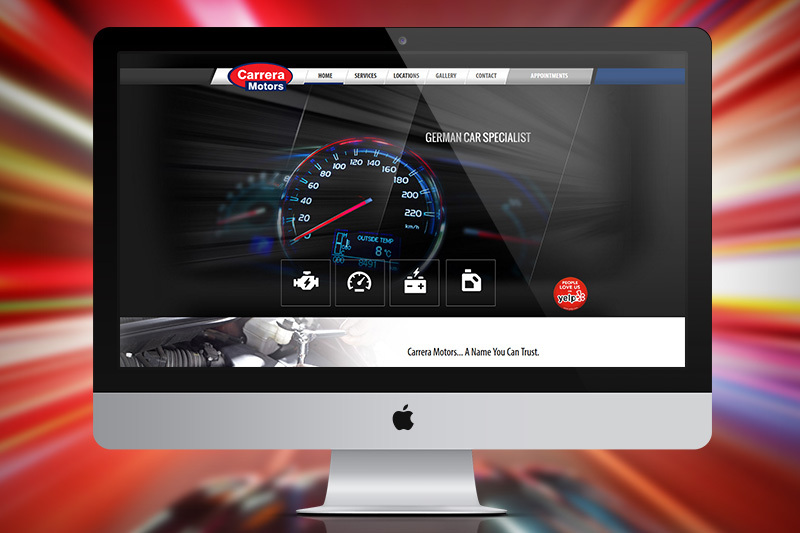 Carrera Motors is a logo German-Automobile specialist. They focus primarily on Porsche, Mercedez and BMW automobiles. Their company contracted our team to create a new website that would drive traffic to their business. We took into consideration the look that goes into German automobile brands and used this as a reference point to create a unique style for Carrera Motors. Their custom site was outfitted with On-Page Optimization ready for future SEM campaigns.